"The Fast-5 Diet and the Fast-5 Lifestyle" (2005) by Bert Herring M.D. is a weight-loss and weight-maintenance plan based on the concept of intermittent fasting. It consists of a single rule: limit calorie intake to no more than five consecutive hours in each day. The Fast-5 Lifestyle is an indefinite continuation of that diet for weight maintenance after the weight loss goal has been reached. Dieters using the Fast-5 diet fast for nineteen hours total each day. This nineteen hours includes sleep. After the nineteen hours of fasting is complete, dieters then have five hours in which they can eat whatever they choose. The suggested eating window is from 5pm - 10pm, but Dr. Herring indicates that the nineteen continuous hours of fasting time is the key to the diet's effect, and that the five-hour eating window may be set whenever it is most personally convenient. The Fast-5 approach does not stipulate a calorie intake level. It relies on the eating schedule's effect of correcting appetite to determine proper intake, but doesn’t discourage the addition of a calorie counting approach. The Fast-5 Diet also does not specify food content or forbid any foods, allowing the approach to be used with any dietary preference. The Fast-5 diet was developed based on the personal results Dr. Herring experienced while working at the National Institutes of Health and incorporates estimates of the eating schedule of ancient hunter-gatherer humans who ate without benefit of food storage or refrigeration. Dr. Herring distinguishes Limbic hunger, which comes from that part of the brain that connects primitive drives, emotion, and memory, from Somatic hunger, which is the sensation of discomfort in the stomach area that is commonly known as hunger, or hunger pangs. Somatic hunger is the result of the interaction of many hormonal and nerve signals and incorporates more information than just whether the stomach is empty. He says that Limbic hunger is the reason why it is hard to eat only one potato chip. Eating one chip triggers more appetite because primitive limbic signals tell the brain we should eat as much as we can while food is available. This leads to more eating, connecting in a vicious circle that doesn’t stop until the bag of chips is empty. The ancient instinct takes control of behavior, ignoring higher thinking and preferences. Limbic hunger in a land of plenty causes one to eat too often and too much. Having a 19 hour short-term fasting period eliminates the potential…during that time period, for eating to-drive-more-eating, and keeps limbic hunger from taking over control. 19 hours of daily fasting enhances the body’s fat-burning capabilities by providing a long period every day when the body’s fat-burning machinery is switched on and stays on. Once the body is using energy from stored fat, rather than from fresh glucose absorbed from digesting food, continuous fat burning is more efficient than when the body flips back and forth from fat to glucose and back again. Also, changing back and forth causes fluctuations in the levels of hunger related hormones (insulin, ghrelin, leptin and more) resulting in the sensation of hunger. I have had brief and limited experiments with the Fast-5 diet, usually in combination with alternate day eating. I am currently involved in another entirely different Fast-5 experiment. My normal pattern is to wake up about 4am. and go to sleep about 8pm. During my past experiments, I chose an eating window of 2pm until 7pm, which in my lifestyle is the equivalent of a 5pm to 10 pm window. This did not work well for me because during the entire Fast-5 dieting experiment I found myself simply killing time every day until 2pm, totally focused on wanting to eat, while I did everything possible to distract myself from food until the time finally came for me to eat. I am a morning person, and normally prefer my breakfast and lunch over my dinner, so with a late-in-the-day window, my preferred mealtimes were not available to me. I had difficulty in getting myself to set a morning 5 hour window because of the idea of how hard I might find it to go without food during the long afternoon and evening period. Recently, I decided to try Fast-5 with a morning window from 9am to 2pm and found that this suits my body and personality a great deal better. A five hour window from 9am to 2pm allows me to eat at my preferred mealtimes. It also seems that so far…..I, personally, feel less physical hunger and less desire to eat after 2pm between lunch and bedtime, than I do in the mornings before 2pm. Whether this will continue to be the case over time, is something that I just don’t know. My present Fast-5 experiment is in the early stages, and is combined with calorie counting and other dietary preferences. I haven’t set a time-period for how long I’ll continue on with it. Right now, it’s day-by-day, and I’m deciding each morning whether or not to go forward with it. I know that there are times when I find eating zero food easier than eating a tiny amount of food, and other times when this isn’t true for me. I’m interested in learning more information about that difference. I’m also curious as to whether this way of eating will cause me to eat less overall, for more than just a few days, and if that behavior will provide me with any weight-loss results. I mention this just as another example of how I treat Dieting as a Hobby. Hmmmmmm, nineteen hours without food? My first question to this Dr. would be, How do you maintain a constant blood sugar level? I see you are giving it a whirl Phyllis; but his method would not be for me. I just eat when I'm hungry. Hi John. My position is that "Not all diets work for everybody, but every diet works for somebody." Regarding the blood sugar level, I've watched forums whose members use Fast-5, and a great many of them have reported checking their blood levels the way diabetics do and coming up with extremely positive personal results. Unless one one has type 1 or type 2 diabetes it doesn't appear to even be an issue for most, and Fast-5 results appear to be consistent with all of the other Intermittent Fasting plans in that after a short time blood sugar levels for "balanced" eaters simply adjust to first glucose burning and then shifting to fat storage burning without any problem. Low-carb eaters report an easier period of adjustment, probably because when they begin, their bodies are already primarily fat burning for the entire 24 hrs. 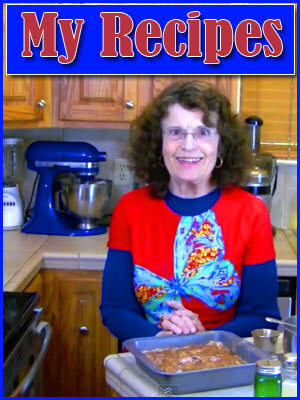 Hi Phyllis, I totally agree "Not all diets work for everybody, but every diet works for somebody." To go further with that, I just watched the TV program 'The Doctors' and their presentation of Losing 100,000 lbs. This is a nationwide effort. Everyone on that program and those at home all lost thousands of pounds collectively and they all did it their way. so right you are, one size does not fit all. Hi Phyllis, I seem to have included some sort of fasting in my eating plan - unintentionally. As you know I'm not a morning person. My window would be 11am - 6pm or 12pm - 7pm. My fasting period would then be 17 - 18 hours; sometimes a bit more or less. I've been eating this way for the past three years and it has worked well for me and fits in with my way of living. Hi Rina-Marie, I think it's so great that you have worked out an eating plan for yourself that works so well, and how interesting that the plan you worked out in part resembles the Fast-5 diet, as well as in part the Dukan diet, without your ever having been exposed to either one of them. I look forward to watching your maintenance in the future. Hi Phyllis, Oh my goodness!!! Rina-Maries post just made me realize I too am 'fasting' without realizing it. I have breakfast at 6 a.m., light lunch at 10 a.m., and dinner if you will between 2-3 p.m. daily. Nothing after 3 p.m. except water until breakfast. WOW....surprise, and I notice no drops in blood sugar or hunger pangs. I guess our bodies just adjust themselves to a routine. As usual, great review Dr. Collins. I'm going to try fast 5. My only concern is that in such a short eating window, to ensure I ingest the minimum recommended micro nutrients to be well nourished, I may have to stuff myself and feel bloated. We shall see! Hi Jethro, if you've read very many of my articles (check out the ARCHIVES) you'll know that my position is that much of the "expert" opinion of how many daily micronutrients we need are bogus recommendations based on political agendas and marketing interests. Protein is the only absolutely essential micronutrient, and the Minimum recommended by W.H.O. 0.45 grams per kilogram of IDEAL body weight per day, and Maximum recommended by US RDA is 0.8 grams per kilogram of IDEAL body weight per day. 1 kilogram equals 2.2 lbs. I didn't store the formula for a male's Ideal body weight, but By US measure, a woman's Ideal body weight is determined by: 100 pounds for 60 inches in height +5 pounds for each additional inch over 60 inches. ***I take it that the term IDEAL this doesn't mean that everyone SHOULD weigh that amount, just that the nutritional formulas for maintaining the specific body size is based on it. Anyway, according to the entire formula, as a 5'0" female, my minimum Protein RDA is only 20 grams and Maximum only 36 grams. For perspective, 3 oz of white meat chicken w/o skin is about 26 grams. 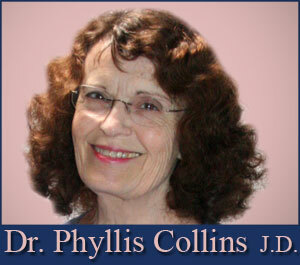 Dr. Collins, I'm learning a lot from your website. Keep up the good work! Thanks Jethro, I love it when others can also benefit from my Dieting Hobby.